Short-chained fatty acids are important for the body as they provide energy, stimulate intestinal movement. Eating a fibre-rich breakfast consisting of muesli and enough fruit and vegetables throughout the day everyday can help maintain a rich variety of bacterial species in the gut, which may have positive influence on chronic inflammatory joint diseases, and prevent bone loss, a study has found. 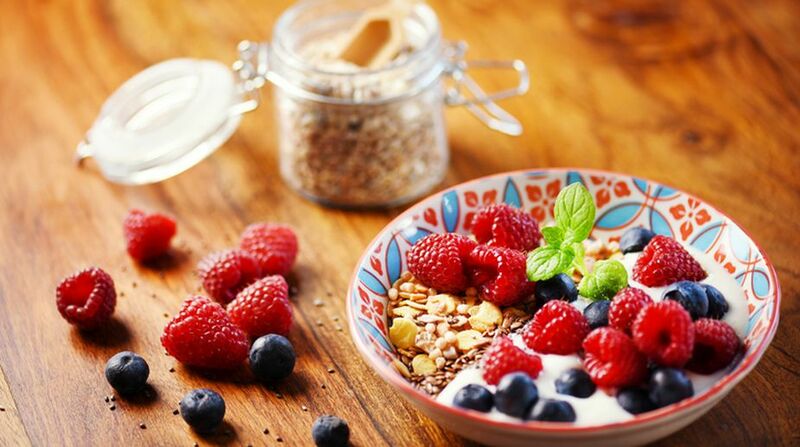 The findings, led by researchers at the Friedrich-Alexander-Universitat Erlangen-Nurnberg (FAU) in Germany, showed that a healthy diet rich in fibre is capable of changing intestinal bacteria in such a way that more short-chained fatty acids, in particular propionate, are formed. Short-chained fatty acids are important for the body as they provide energy, stimulate intestinal movement and have an anti-inflammatory effect. “We were able to show that a bacteria-friendly diet has an anti-inflammatory effect, as well as a positive effect on bone density,” said lead author Mario Zaiss from the FAU. “We are not able to give any specific recommendations for a bacteria-friendly diet at the moment, but eating muesli every morning as well as enough fruit and vegetables throughout the day helps to maintain a rich variety of bacterial species,” Zaiss added. In the study, published in Nature Communications, the team focussed on the short-chain fatty acids propionate and butyrate, which are formed during the fermentation processes caused by intestinal bacteria. The researchers also proved that a higher concentration of short-chained fatty acids, for example in bone marrow, where propionate caused a reduction in the number of bone-degrading cells, slowing bone degradation down considerably. “Our findings offer a promising approach for developing innovative therapies for inflammatory joint diseases as well as for treating osteoporosis, which is often suffered by women after the menopause,” Zaiss noted.